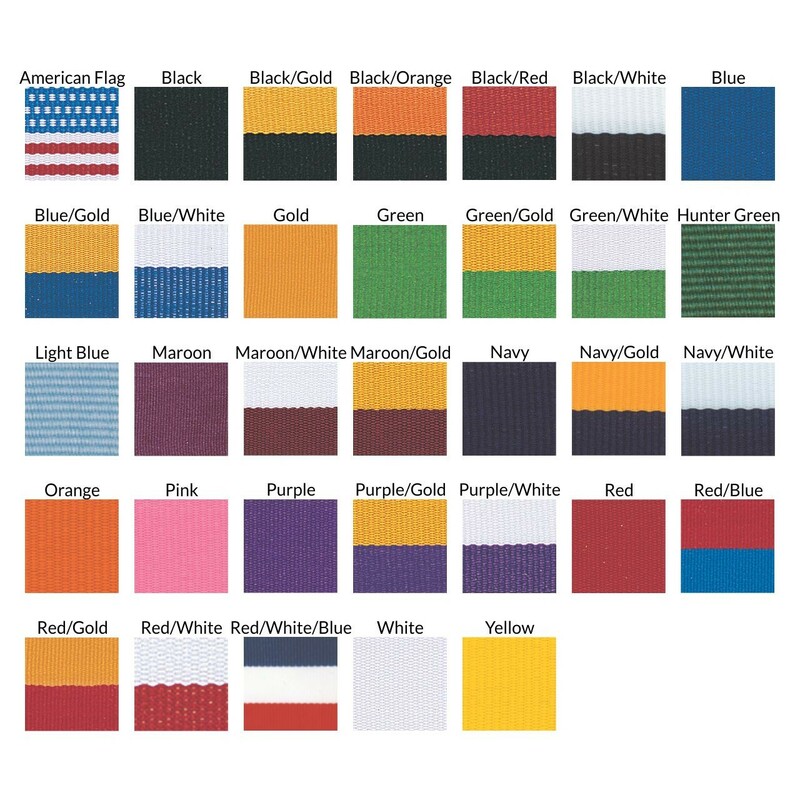 Reward a great archer for their skill, accuracy, and precision. 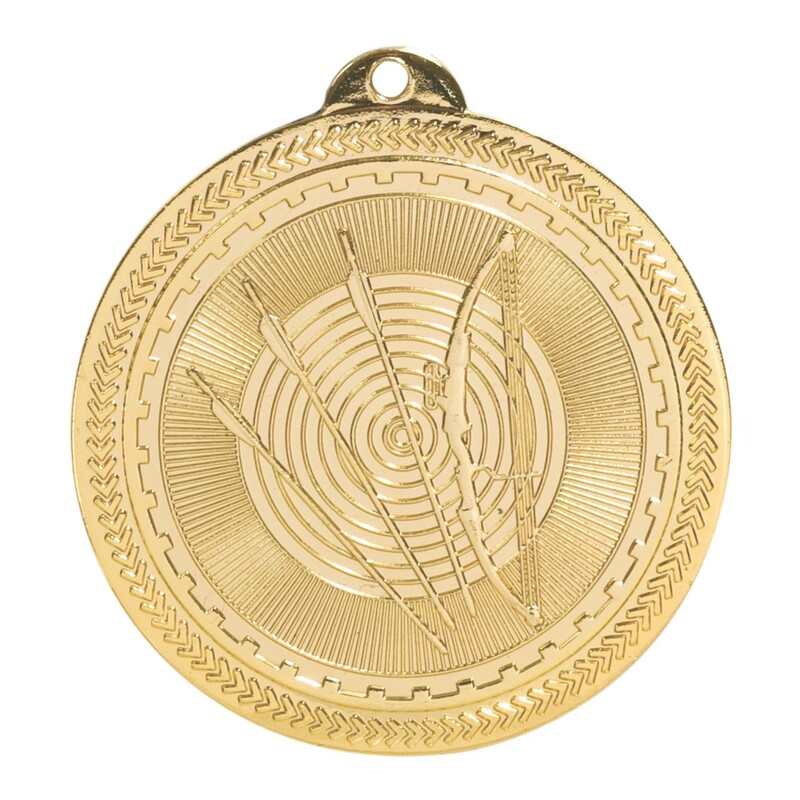 The BriteLazer Archery Medal measures 2 inches in diameter, with a shiny golden finish and black back. 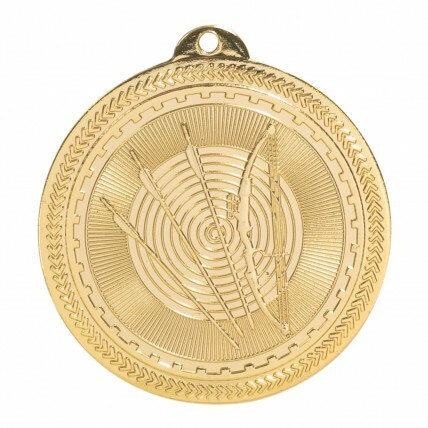 This medal features a bright golden bow and arrow in front of a target. 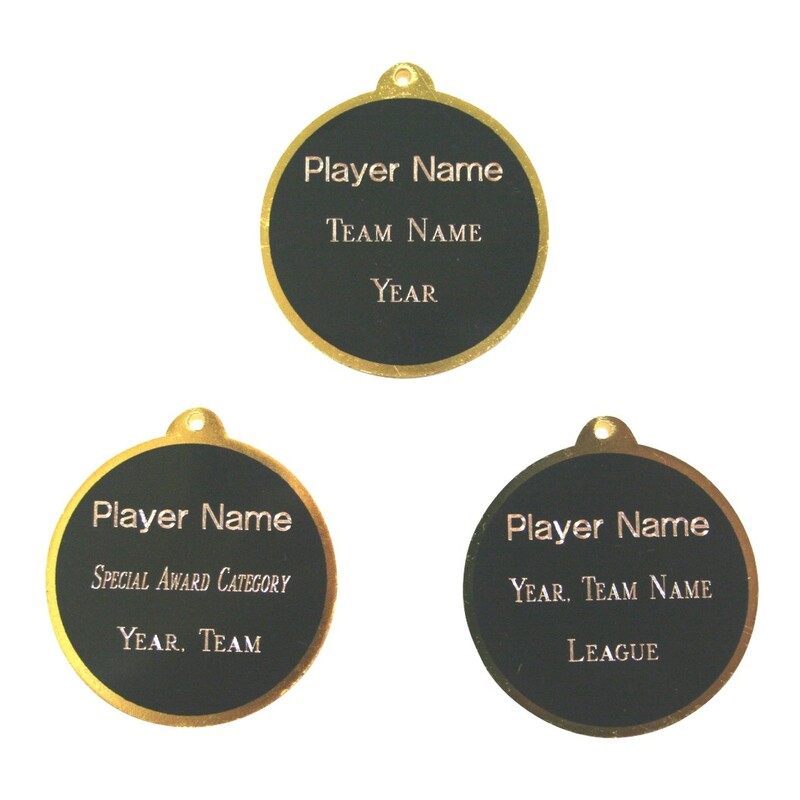 Includes your choice of neck drape color and up to 3 lines of engraving on the back of the medal.